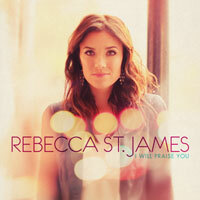 The winner of the Rebecca St. James I Will Praise You giveaway is Taam216! Congratulations! Thanks to everyone who entered the giveaway. Don't forget you can purchase your own copy of I Will Praise You online or at your local Christian bookstore.